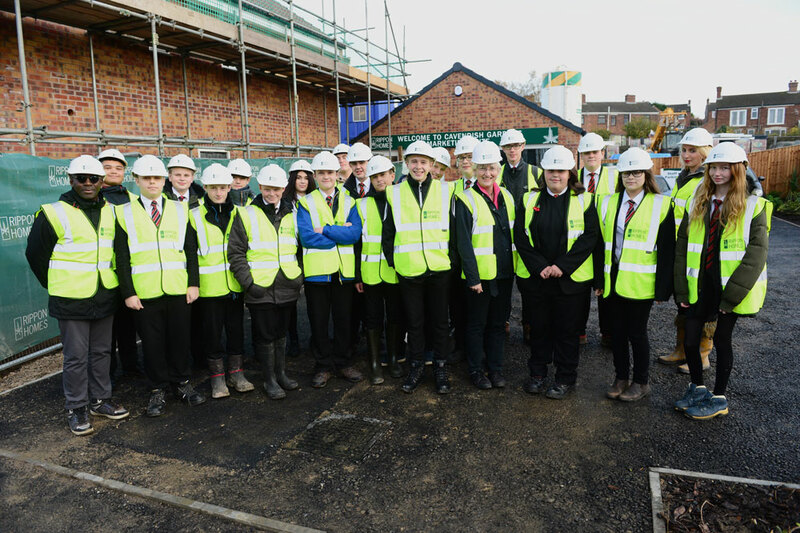 37 GCSE Product Design students from Tibshelf Community School attended Rippon Homes’ Cavendish Gardens development recently to learn the importance of site safety. 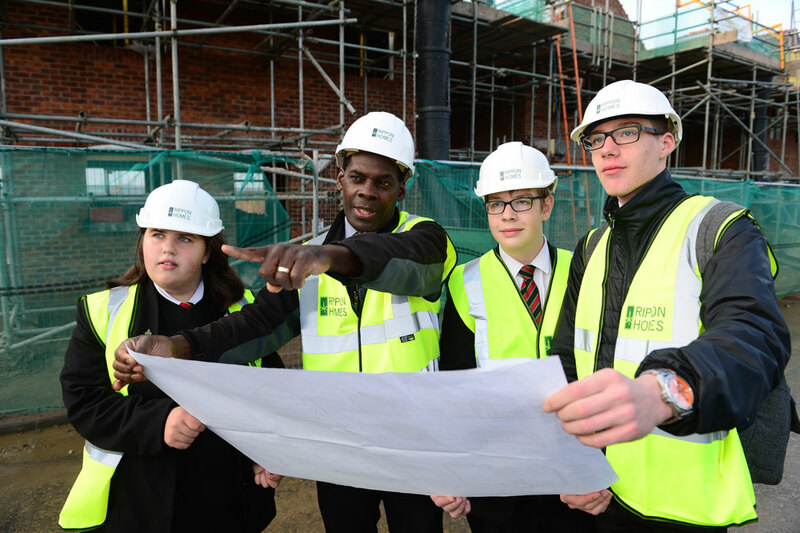 The educational visit introduced the students to the tools and machinery used within construction, as well as the importance of health and safety on site. The students, aged between 14 and 15, were given an early insight into the opportunities available within the construction industry, particularly at Rippon. Rippon apprentices Kieran Thompson and Joshua Ikin were also on hand to answer any of the students’ questions throughout the tour, and advising how to achieve a career within construction. The Cavendish Gardens development features a mixture of 57 three bedroom semi-detached houses and three and four bedroom detached houses. Tibshelf village offers everything a homebuyer could ask for, including shops, pubs and a doctor’s surgery, as well as a primary school and the newly-built Tibshelf Community School. Close to the M1, Tibshelf provides great transport links to Derby, Nottingham and Sheffield, with local bus routes linking to neighbouring towns and villages. Sales Assist and Help to Buy schemes are available on homes at Cavendish Gardens. With Sales Assist, Rippon Homes will pay estate agent fees and arrange for an Energy Performance Certificate, saving you time and money.